Applock the perfect partner for your mobile privacy. 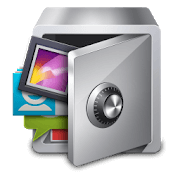 Every file that you want to keep private, AppLock lets you do it. Ever sicne its realse in 2012 AppLock has been the no.1 app lock in the world. Trusted with more than 300 million users and over 140 countries Applock is the go-to file keeping app.  AppLock protects your privacy whether it is for hiding apps or files and folders.  If an intruder tries to open your app then AppLocks takes a photo of that intruder and keeps it for you to see it as proof.  It also has a purchasable pro mode. Which allows users to gain some addition features as Multi-lock, Auto-lock and Disguise feature.  The app has PIN lock, Pattern Lock and even Fingerprint lock and blocks unauthorized entry.  AppLock also has incognito mode which allows user to browse the internet leaving no trace behind.  Another feature of Applock is its availability of Themes for its users. Here users can apply a personalized theme for there Applock Locker. How to Download AppLock v3.0.97?